PRHAS s.r.o. - Zlatníky - We offer fire extinguishers, accessories, autonomous fire detectors, hydrants and hydrant systems. We provide sales of fire extinguishers and complete accessories. Our eshop offers: fire extinguishers, fire water pipes, autonomous detectors, landmarks, sorbents, fire brigades and other accessories for fire extinguishers. We provide service and inspection of fire extinguishers according to Decree No. 246/2001 Coll. We service and inspect fire extinguishers throughout Czech Republic. We provide water fire extinguishers which are especially suitable for extinguishing solids. Water fire extinguishers are certified according to the European standard ČSN EN - 3. We provide carbon dioxide fire extinguishers. 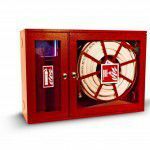 We provide snow fire extinguishers in 2 or 5 Kg packs. Within the framework of the capital city. We import fire extinguishers FREE of charge. 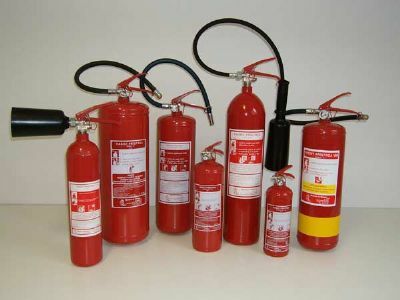 Powder fire extinguishers are available in different sizes. Powder fire extinguishers are especially suitable for extinguishing electrical equipment, flammable gases, solid materials, etc. Foam fire extinguishers are used primarily for extinguishing solid flammable substances and flammable liquids. We also service and perform regular revisions on foam fire extinguishers. Mobile extinguishers are primarily designed for industrial environments. Mobile extinguishers offered: powder, foam and snow. Hydrants and hydrant systems are available in various variants. We provide hydrants and hydrant systems to residential, non-residential and industrial buildings. All of our products meet the required standards and norms. Autonomous fire detectors are important security and housing security components. We have autonomous fire detectors for various purposes: photoelectric fire detectors, smoke sensors, fire detectors, carbon monoxide detectors and alarm. We distribute sorption material for liquid extraction. The sorption material contains expanded perlite, which is harmless, non-flammable and chemically neutral. We provide smoke sensors equipped with photoelectric technology for more sensitive fire detection. Smoke sensors are certified in accordance to EN 14604, according to the requirements of Decree MV č.23/2008 about tech. conditions of fire security. We are engaged in the sale of carbon monoxide detectors with high-quality electrochemical sensor. The carbon monoxide detectors are supplied together with wall mounting accessories. We provide fire extinguishers covers in different designs. We have covers for fire extinguishers on a key, with a window, with a lock and with a buckle. We distribute photoelectric fire detectors for smoldering fires. The photoelectric fire detector is equipped with a highly sensitive sensor that reliably registers the already smoldering fires. We distribute fire protection tables for civil and industrial constructions. We offer fireproof self-adhesive foils and plastic photoluminescence tables with themes of escape routes, fire extinguishers, hydrants, etc. We provide photoluminescent escape tables in various designs. Photoluminescent escape tables are provided for marking escape routes, directional arrows, floor arrows, exits, etc. We supply firefighting books for clear fire protection management and controls. Fire books are used for the simple registration of fire inspections, identifying deficiencies and their removal, training of employees and fire patrols, etc. We offer halon fire extinguishers with extinguishing halon gases. Halon fire extinguishers are one of the most efficient fire extinguishers, but handling must be handled by experts.